Remember that easy pecan granola I made? Well I had to put it to good use. 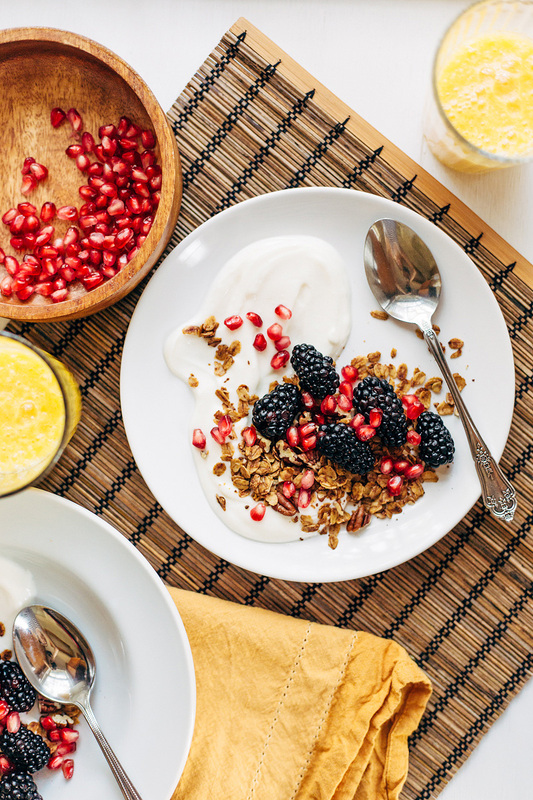 Eating granola on its own is not as enticing as eating it with some creamy yogurt and sweet, tart fruit. Added bonus? Every time I eat this, I feel SO healthy. Like I just did something good for my body. 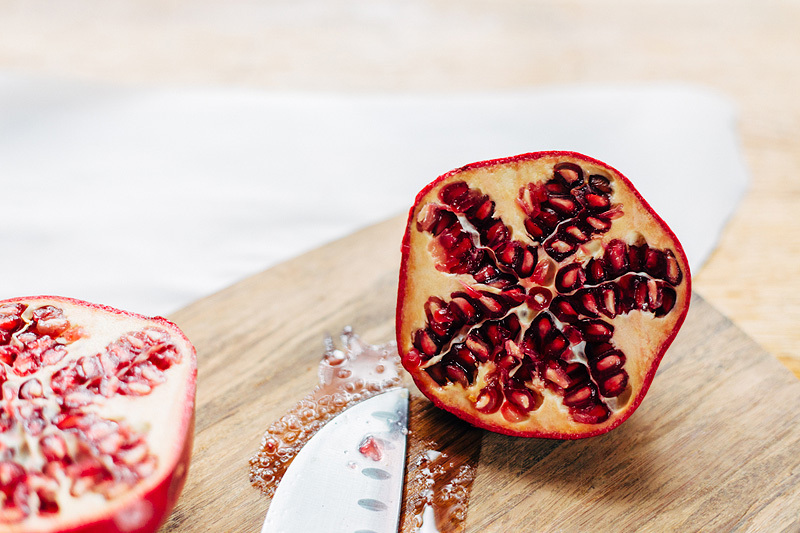 And I just love the explosion of those tiny pomegranate seeds when you bite into them. 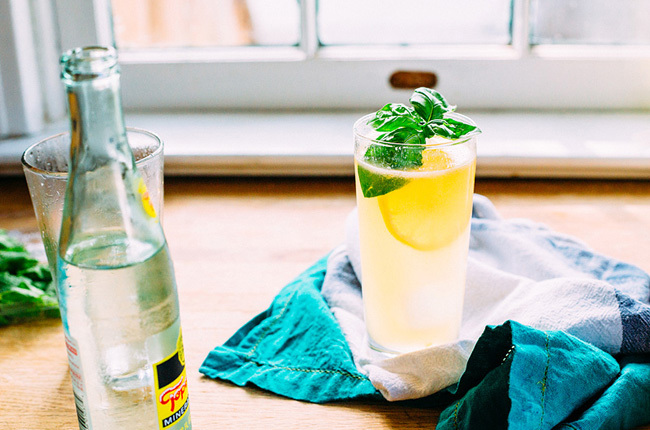 It’s so easy, that it’s hard to even call it a recipe. It’s basically just an assembly recipe where you throw stuff together and don’t worry about measurements. 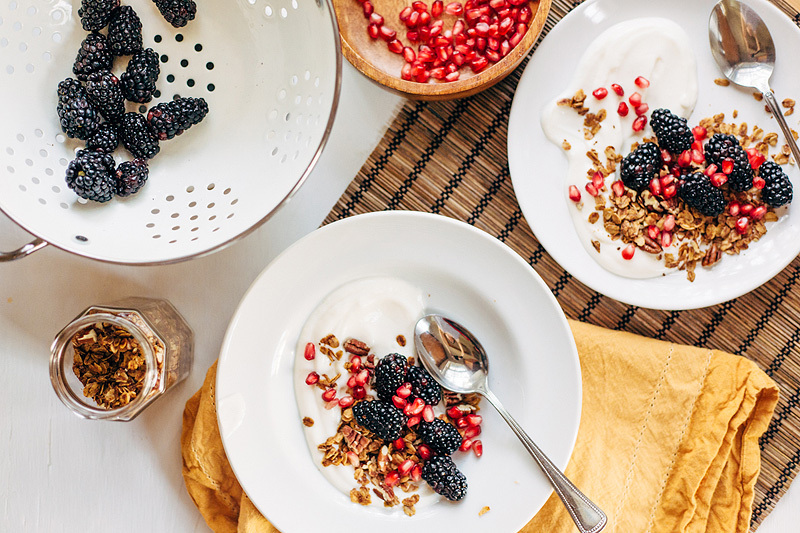 If you already have the blackberries, pomegranate seeds, and granola, you can make this in like 2 minutes. 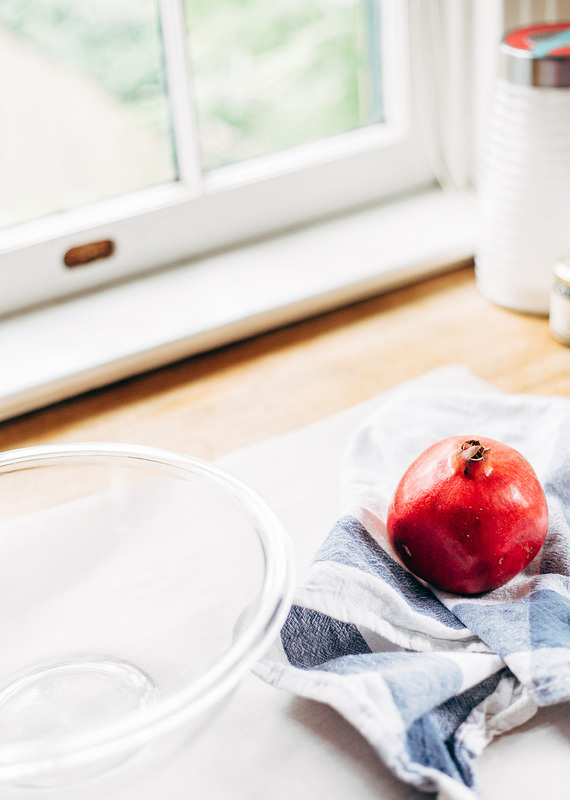 If you want to make everything from scratch… well then it takes a little longer. First: The granola. I made my own here. But really, any granola should work well. Second: The pomegranate seeds. This can be tricky. 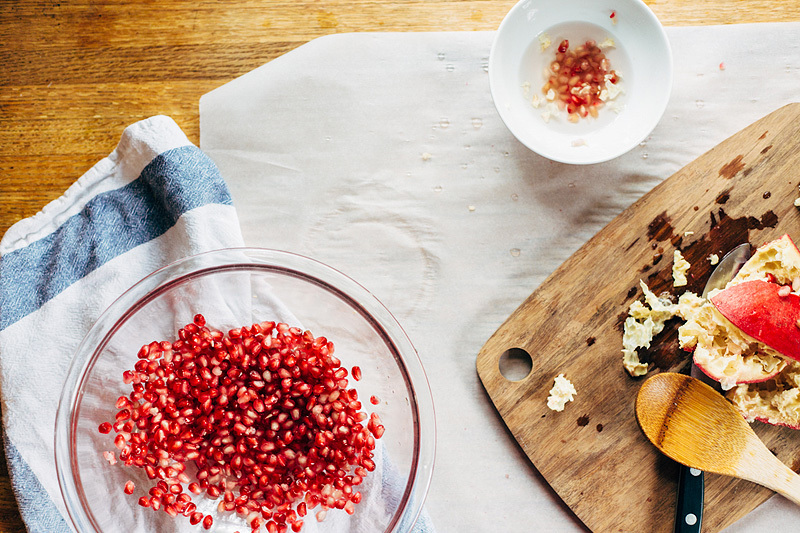 You can buy pomegranate seeds at the store (easy! ), or you can buy a whole one like I did. 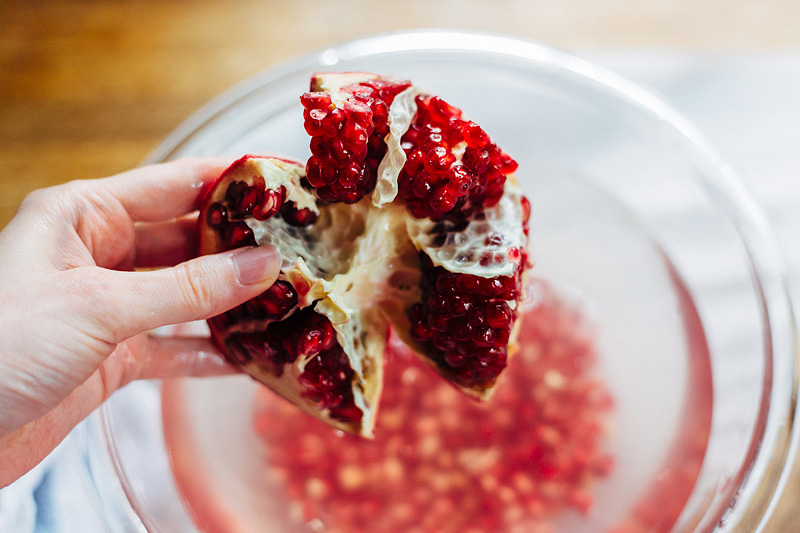 I tend to cut the pomegranate in half, and then break it open in some water (to cut down on the mess). The seeds sink to the bottom, and other stuff floats to the top. Dry those seeds on paper towels, use what you need, and save the rest in the fridge for a week. Third: Blackberries. This is pretty simple. Buy some from the store or farmer’s market. Fourth: Yogurt. I can’t even think about how to make yogurt, so I got some greek vanilla yogurt from the store and voila! Perfectly tangy and creamy. 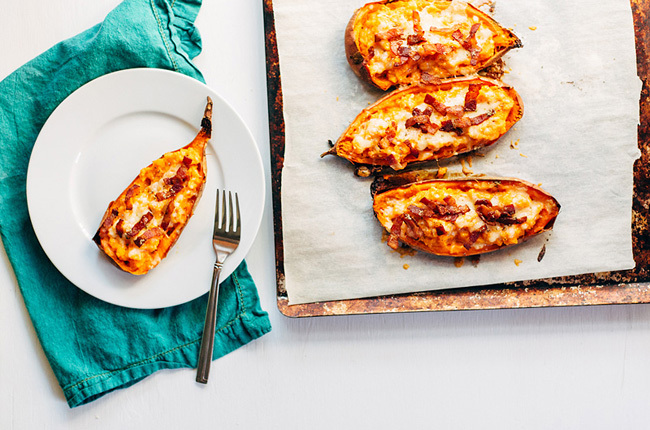 The below “recipe” doesn’t use any measurements. 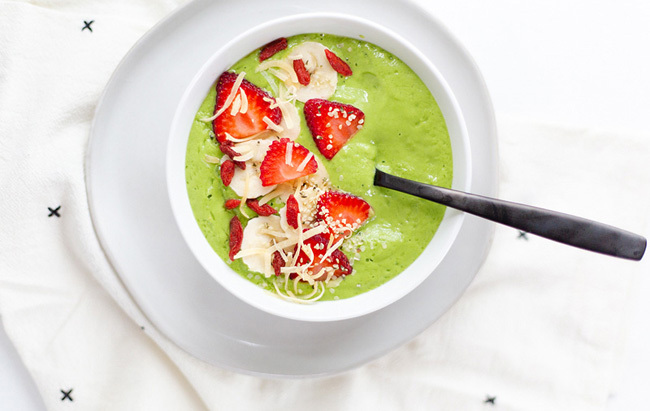 Just spoon some stuff into a bowl and enjoy! 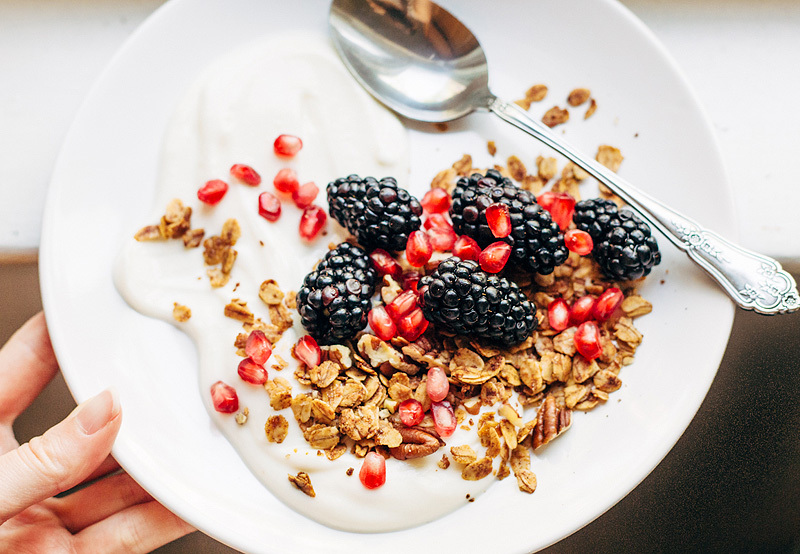 Spoon some Greek yogurt onto a bowl or plate. 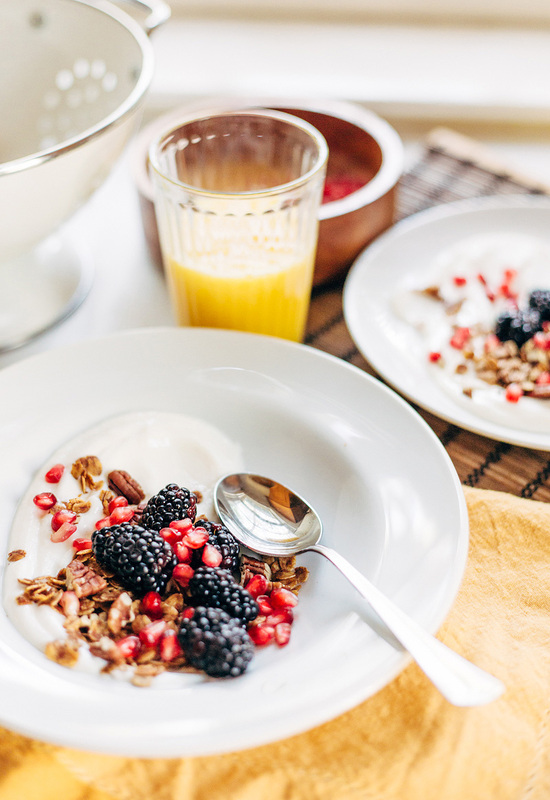 Sprinkle a healthy helping of granola onto the yogurt. Add some pomegranate seeds and blackberries on top.